Both seminars were very well attended with lots of discussion from a wide range of professionals. During the Eating and Drinking seminar, we provided background on how and why the resource was developed and showed some DVD examples of people using the resource. This really brought things to life and showed how important it is to give people (with and without speech) the opportunity to consider and talk about different aspects of eating and drinking. We also gave people hands-on practice in using the symbols from each topic. Each participant received a copy of the full resource, including symbols, a mat, and explanatory booklet. communicate their views/wishes and feelings. 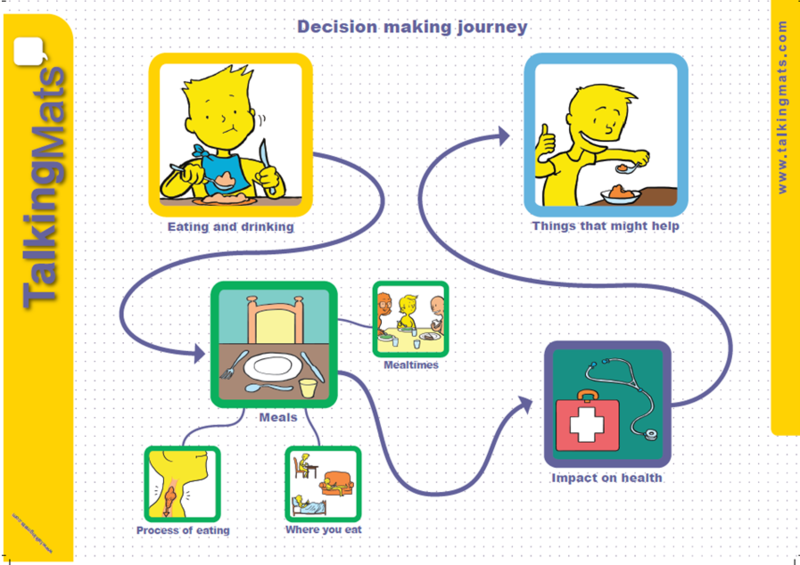 They were also given the opportunity to work through some practical examples and think about options to help people understand issues and make decisions. This entry was posted in Blog, Capacity, Communication difficulties, dysphagia, Eating and drinking, Training and tagged AAC, capacity, Dietetics, Dysphagia, Eating and Drinking, Talking Mats on January 30, 2015 by Sally Boa.